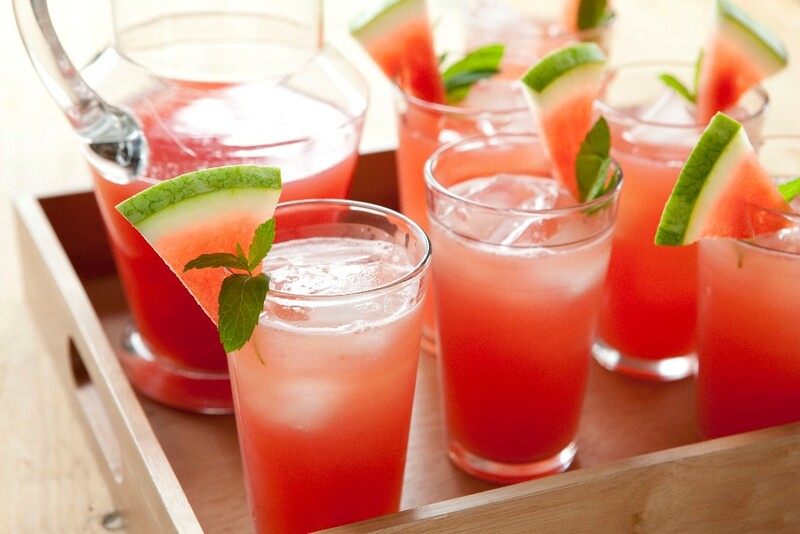 To each glass, add ice, pour in the watermelon punch. Add tequila and soda, stir. Garnish as desired. One-of-a-kind pairing at Carbon Beach Club in the Malibu Beach Inn; Baracchi wine from Tuscany only available at the exclusive seaside restaurant on the beach. The fresh seafood platter for two is an outstanding brunch item not to miss, which can be pared perfectly with Baracchi or additional selections from their wine list. A a favorite on their eclectic breakfast menu is the Truffle Omelette made with black truffle, forest mushroom, and Boursin cheese with chives as well, while enjoying an amazing view of the Malibu Pier. Cheers! The four-day foodie extravaganza known as the Relais & Ch�teaux GourmetFest returned for its third delicious year February 25-28, 2016 sparkling with four Relais & Ch�teaux three star Michelin chefs, all in attendance for the kick-off event. This year, the 10-course rarities dinner feast was prepared by three Relais & Ch�teaux three star Michelin chefs: David Kinch (Manresa, Los Gatos, California), Joshua Skenes (Saison, San Francisco, California), and Michel Troisgros (La Maison Troisgros, Roanne, France). Hiroshi Nakamichi (Restaurant Moli�re, Sapporo, Japan) brought his own three star Michelin talents to the rarities lunch. 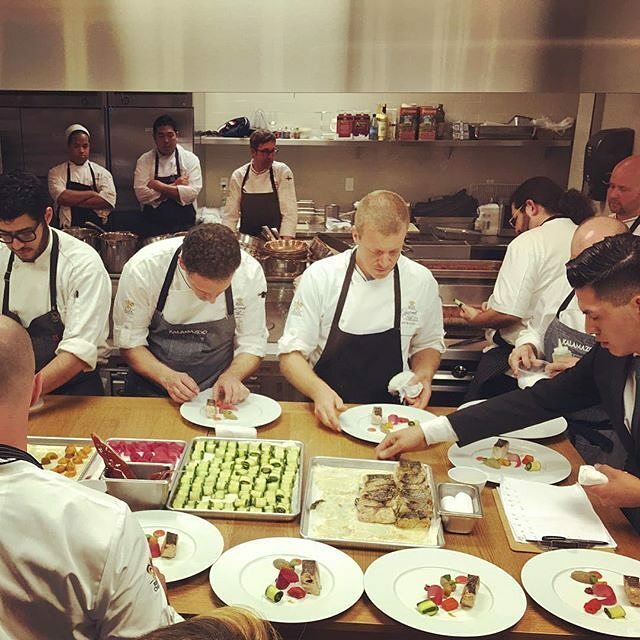 More than 15 Relais & Ch�teaux chefs descended on the charming Carmel-by-the-Sea, CA for 18 total gastronomic events. Welcome Party � February 25: Our opening night celebration for the 2016 Relais & Ch�teaux GourmetFest was the must-attend event of the weekend, with all four Relais & Ch�teaux three star Michelin chefs. The strolling dinner highlights world class Relais & Ch�teaux Chefs at stations paired with prestigious famed wine estates, beer and spirits producers and luxury vendors. Rarities Dinner � February 26: This extremely limited event was truly a 10-course dinner meal of a lifetime, prepared by three Relais & Ch�teaux three star Michelin chefs. Justin Cogley and Ron Mendoza of Aubergine host Michelin three star chefs David Kinch of Manresa, Joshua Skenes of Saison, and Michel Troisgros of Troisgros. This spectacular dinner, paired with rare wines directly from the Chateau, Domaines and Estate cellars featured Brice de la Morandiere of Domaine Leflaive, Jean Garandeau of Chateau Latour, Alessandro Lunardi of Masseto, Pierre-Emmanuel Taittinger of Champagne Taittinger and Taylor Floodgate. A Morning with The Grand Crus of Domaine Leflaive � February 26: Guests Regaled in famous Burgundy winery Domaine Leflaive, including an uncorking of the rare of the rare all Magnum format of the Domaines Grand Crus, dating back to 1996. Farmers Market Lunch & David Kinch Gaggenau Kitchen Cooking Demo � February 26: It began with an afternoon a pre-lunch cooking demo featuring the wonderful produce and products of the Central Coast of California and the incredible talent of 3 Star Michelin Chef David Kinch, proprietor of Manresa in nearby Los Gatos. Chef Kinch�s demo took places in the State of the Art Gaggenau Demo Kitchen in La Playa's courtyard. After the demo enjoy a short reception with Champagne Taittinger before indulging in a bountiful four course lunch prepared by Relais & Ch�teaux chefs David Kinch and Stephanie Prida of Manresa, 3 Star Michelin Chef Hiroshi Nakamichi of Restaurant Moli�re and Nathan Rich of Twin Farms. Wild Mushroom Hunt & Lunch with Ranger Chuck Bancroft � February 27: Retired Point Lobos Ranger Chuck Bancroft and his team of mycologists lead guests on a wild mushroom hunt through the pristine 20,000-acre Santa Lucia Preserve in upper Carmel Valley. Following the hunt will be a sumptuous wild mushroom lunch prepared by the Preserve�s Host Chef Jerry Regester and Relais & Ch�teaux Chef Matt Zubrod of The Little Nell with accompanying wineries pouring rare vintages from Galante Vineyards and Dawn�s Dream. Father & Sons Lunch & Michel Troisgros Cooking Demo � February 27: Guests Delighted in a lunch prepared by two iconic French father and son chefs, Olivier and Hugo Roellinger of Les Maison de Bricourt and Michel and C�sar Troisgros of Troisgros. The lunch, paired with some of the most highly sought after wines made in France including Chateau Grillet and Domaine d�Eugenie and finished with the wines of Napa Valley superstar Araujo, and was preceded by a cooking demo in the Gaggenau Demo Kitchen and Champagne Taittinger reception. Taste of the World � February 28: Relais & Ch�teaux is known for proving unique experiences from the finest hotelier and restaurateurs from all over the world. Guests Experienced a �strolling Route du Bonheur� in which wines, many from local Monterey County wine estates, were paired with bites from Relais & Ch�teaux properties from all over the world, offering a glimpse into what makes them so special. Chefs delighting palates at this event hailed from global gastro-destinations including: Justin Cogley (L�Auberge Carmel); Chris Kajioka (Hotel Wailea, Maui, Hawaii); Loic Leperlier (The Point, Saranac Lake, New York; Nathan Rich (Twin Farms, Barnard, Vermont) and Hans Sauter (Post Hotel & Spa, Alberta, Canada). GourmetFest was founded in 2014 by L'Auberge Carmel's proprietor David Fink, the original founder of the Masters of Food & Wine in 1987. Now in its third year, the Relais & Ch�teaux GourmetFest has quickly become a tour de force in the food and wine festival circuit, bringing together the talent of Relais & Ch�teaux chefs from around the world with prestigious wineries and the finest luxury brands, all in beautiful Carmel-by-the-Sea. The 2016 Relais & Ch�teaux GourmetFest is sponsored by Visa, BMW, Gaggenau, Blancpain, FOUR Magazine, San Francisco Chronicle, L�Auberge Carmel, Le Creuset, Nespresso, Taylor Fladgate and Valrhona. 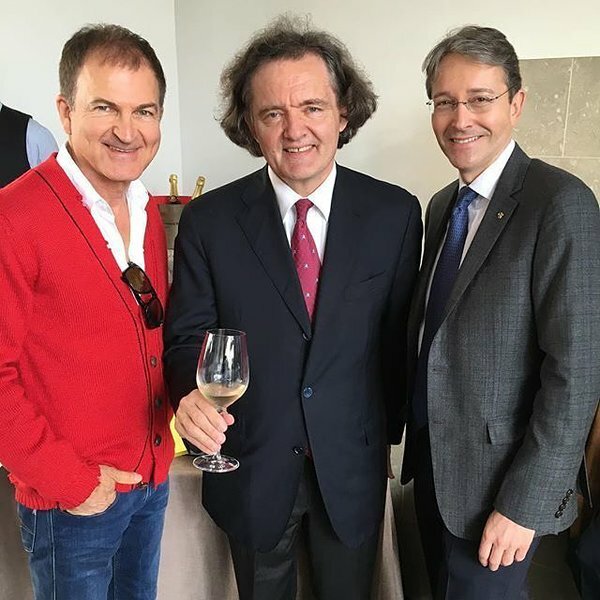 The four days of tremendous events in Carmel, featured the opportunity to bid on visits to some of Relais & Ch�teaux�s most extraordinary properties. The 2016 GourmetFest auction benefited the Carmel Chamber of Commerce, CSU Monterey Bay hospitality program and Cystic Fibrosis Foundation. 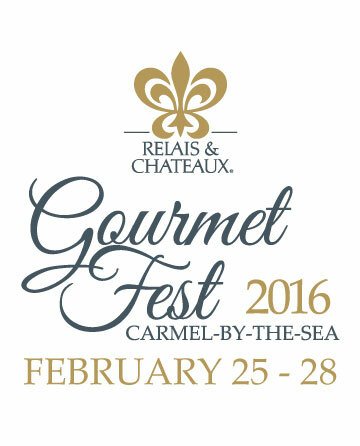 For more information about the 2016 Relais & Ch�teaux GourmetFest visit: gourmetfestcarmel.com. Ian drinks wine for a living and plans 50-�‐100 public and private events a year. 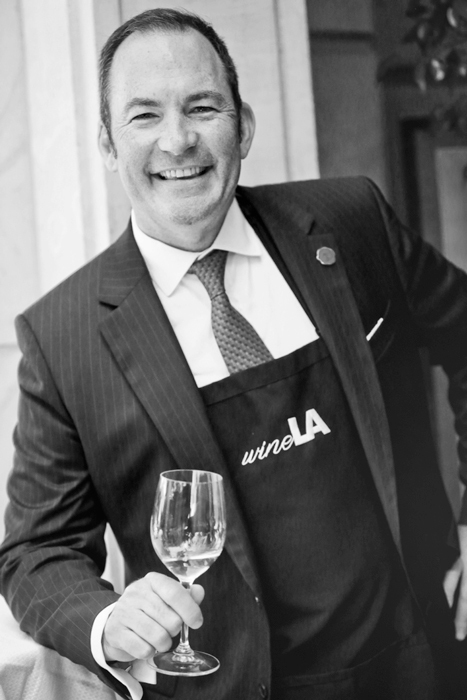 Ian stays busy buying collectible wines for high profile clients, planning luxury wine trips for his audience, hosting corporate events, and studying for his Master of Wine. Since 1995, LearnAboutWine has done the hard work of building a better culture for fine wine, opening the doors for more quality products to enter the marketplace and has taught over 800,000 students. With a reach of over 80,000 current subscribers and followers, LearnAboutWine now focuses on the best quality events and classes, and wine credential programs which have graduated over 1000 wine students in the last 9 years with a Junior Wine Executive credential (JWE). See what is happening NOW at our new website winela.com.